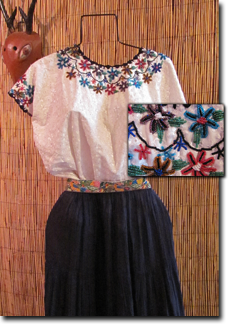 At Trocadero we believe in wearable art and feature fine handwoven and embroidered clothing from many areas of the world. 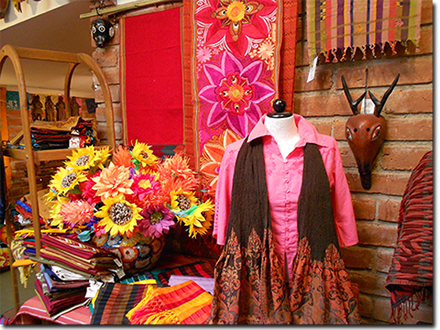 Asian Eye scarves and shawls are a beautiful addition to any wardrobe: vibrant silks, cottons, and featherweight wool - the variety is unbelievable! 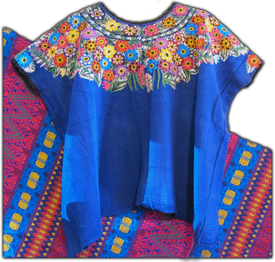 We also carry Gretty Zueger's outstanding Peruvian cotton blouses--for fit and quality these are the best. Chalet clothing, Made in the U.S.A., is our pick for great travel wear, and for summer, Siganka and Rainbow Jo sent us fabulous cottons and prints from Maui! We are also carrying a great line of mens' shirts and belts--for fit and durability, simply the BEST! 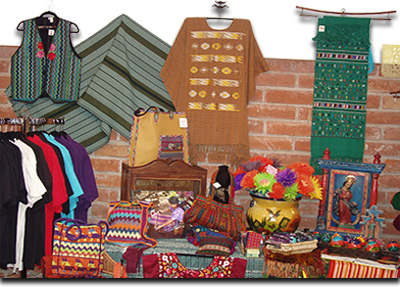 And, as always, we are proud of our selection of handwoven antique and contemporary clothing pieces from Guatemala, Mexico and Peru.